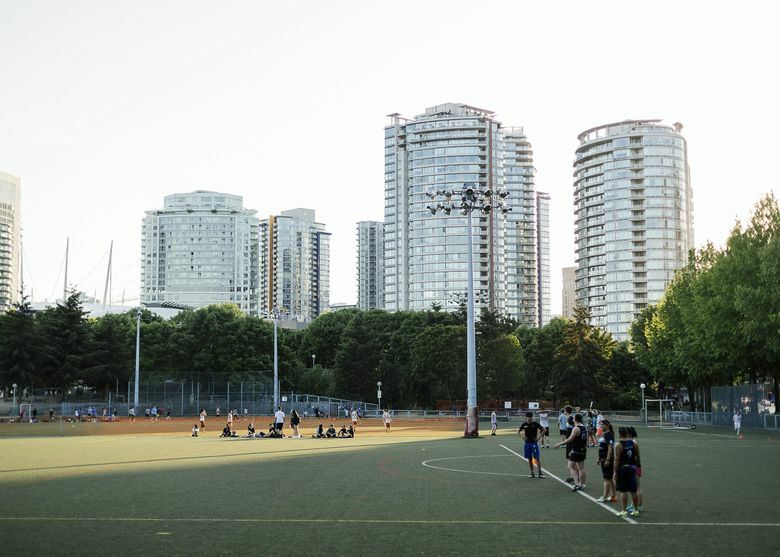 The effectiveness of the so-called 'speculation tax' on some British Columbia real estate is unclear, and so is its impact on U.S. locations -- including Seattle -- that are popular with Chinese and other overseas buyers. In 2016, Vancouver, B.C., instituted a 15 percent tax on foreign buyers of real estate, an effort to dampen speculation that was driving housing prices to some of the highest levels in North America. After some initial success, the boom continued anew. According to a 2016 poll by the non-profit Angus Reid Institute, 90 percent of respondents supported the tax, including homeowners, but relatively few thought it would be effective. Now British Columbia is trying a fresh set of measures to tamp down demand and discourage foreign buyers. The 15 percent tax on a home purchase price is being raised to 20 percent, plus an additional tax on speculators. The ruling center-left New Democratic Party wants to institute higher property taxes on second homes, high-end residences and families that get most of their income from overseas. Vancouver approved a tax on empty homes, among other measures. All this offers very limited lessons for Seattle. Attempts to replicate the Canadian measures here would run up against insurmountable barriers in state and federal court. Whether more Chinese hot money will come to Seattle as a result of Vancouver’s barriers is an open question. So is whether Vancouver’s measures will work. Seattle has been one of the fastest-growing cities in the United States. But, according to Statistics Canada, metro Vancouver’s population only increased by 6.5 percent from 2011 to 2016, the most recent years available. So more supply would definitely help, but Vancouver is an epicenter for foreign real-estate speculation. Even though China has tried to tamp down money leaving the country, buyers find a way around the restrictions, such as funneling money through Hong Kong. Earlier this month, the Wall Street Journal reported on a foreign housing expo in Beijing that drew thousands of investors. “That kind of surging interest has created a flood of capital that is washing over cities throughout the globe, distorting home prices, irritating local residents — and defying almost every attempt to restrain it,” the story read. Chinese invested an estimated $100 billion in purchasing property overseas in 2016, according to Juwai.com, a Chinese real-estate website. We’ll see if the new measures make a difference, especially with Chinese investors. “It’s still too early to say whether the recent taxes will have the desired effects; however, we did see a major slump in sales in February,” Gardner said. “I anticipate that the cumulative effects will be seen in the coming sales season. • After the nasty tantrum President Trump threw at the G7, especially aimed at Canada, a reminder that our northern neighbor is Washington’s second-largest export destination. In 2017, state exports to Canada were valued at nearly $8 billion. • Through the first quarter, Washington’s merchandise exports totaled nearly $17.7 billion, up 4 percent from the same period last year. According to WISERTrade, which tracks trade data, the numbers compare with a decline of 3.2 percent from 2016 to 2017, driven by a big drop in airplanes and parts. This quarter that category was up 2.6 percent. The effects of the Trump tariffs have yet to be felt. • According to the Brookings Institution’s new Export Monitor report, metropolitan Seattle ranked sixth nationally in the value of real exports. The exports directly support 138,270 jobs. Portland ranked 16th and Boise 85th. • Research from Glassdoor puts Seattle No. 2 nationally in median base pay, at $61,552, as of May. This is up 2.5 percent year-over-year. San Francisco is first. Nationally, median base pay was $52.070, up 1.3 percent. • Amazon ranks second on the New York Times Upshot’s clever Marx Ratio, which tracks whether workers or shareholders benefit more from successful companies. Amazon’s average profit per worker was $5,359. Walmart only ranked higher because it has more employees. Boeing ranked 29th. Techies of the world unite!